Tim Topham - International Piano Teacher Advisor student and Instructor - Tim has more than 25 years of experience in general & music education, having taught thousands of students in the United Kingdom and many states of Australia in subjects such as as music, Phys Ed, math and IT. Through his blog and podcast at timtopham.com, he regularly inspires thousands teachers worldwide to become better educators for their students and for themselves. 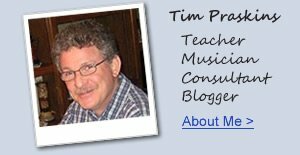 Tim is a friend of mine, he loves acoustic & digital pianos, and is a great resource for all things connected to piano education. No matter where in the world that you live you should visit Tim's site. 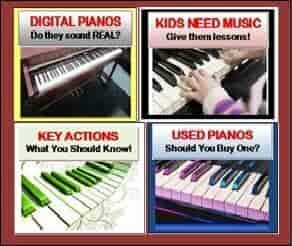 Piano Lessons by Joe Raciti - Joe is a well trained musician and fun teacher to take piano lessons from. 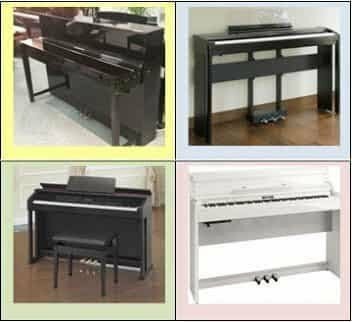 He is a big proponent of digital pianos and uses them regularly to compose and teach on. iPad Piano learning Apps - How they help kids & adults learn piano better and make the practice and playing experience even more fun! 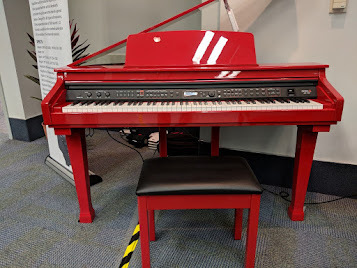 Blog Post - Why Should Kids Play Piano? Why should your kids learn to play piano? Blog Post - Alzheimer's Disease & Music - Alive Again! Blog Post - Piano Lessons for Kids - Important things YOU should know! Informative article! 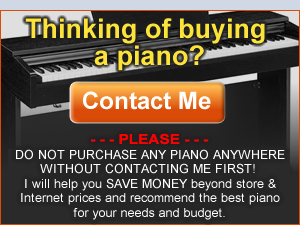 I'm planning to have a Piano Lesson Software because my friends are very great for piano. This sites given here is very great and amazing, it helps me very much and they give a good information that I want to learn. Thank you for giving this article.